Look at this fantastic 2013 Volkswagen CC 2.0T Lux that just arrived here at AUTO GROUP OF LOUISVILLE. This CC is well equipped with Two Toned Heated Leather Seats, Navigation, Sunroof, Turbocharged Inline 4, Sirius XM Radio, Bluetooth, LED Daytime Running Lights, and so much more! 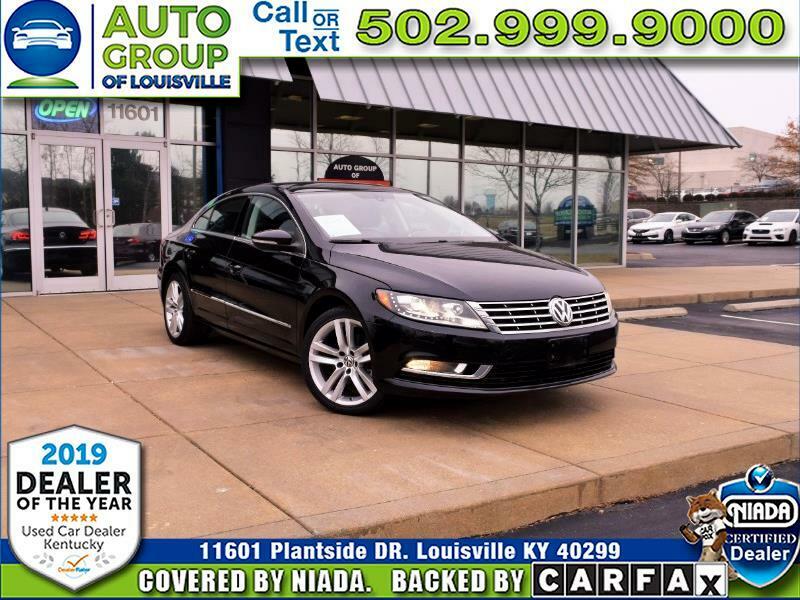 Come on by 11601 Plantside Drive in picturesque Jeffersontown Kentucky and let one of our Great Friendly Knowledgeable sales associates show you this Exceptional Volkswagen CC today!